Tuong Tran is the agriculture account manager for BowerGroupAsia in Vietnam. He manages government affairs services for clients in the agriculture sector. Tuong has an extensive background in agronomy and development economics. Prior to joining BGA, he served for 18 years in several departments in the Ministry of Agriculture and Rural Development of Vietnam. He held the position of deputy head of quality division in the Department of Crop Production from 2012 to 2018. His work at the ministry focused on regulatory development and technical support for agricultural industries with a focus on plant product quality and food safety. Tuong also provided consulting services to a number of agricultural development projects in Vietnam. 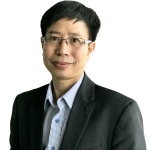 He has a deep knowledge of the agriculture regulatory environment in Vietnam and its impact on agro-product businesses. Tuong holds a PhD in development economics from the Università degli Studi della Tuscia in Italy, a master’s degree in agribusiness from The University of Queensland in Australia and an engineering degree from the Hanoi University of Agriculture.